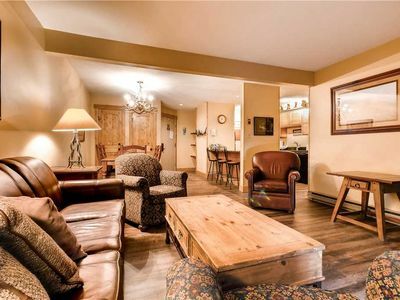 This beautiful true ski in / ski out condo has 3 bedrooms, 3 bathrooms, and boasts incredible views with the best location at the base! 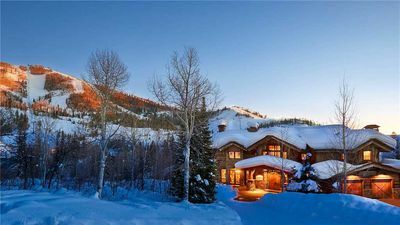 Walk right out the door to the elevator, which will take you to the Steamboat Ski Resort base and multiple chair lifts. 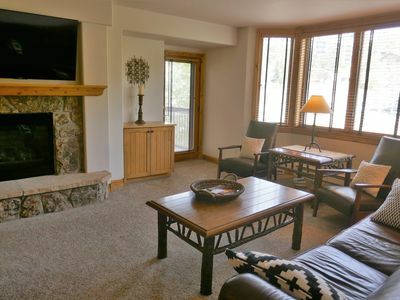 At the end of the day, Slopeside Grill or Cafe Diva for apres ski happy hour and then take the elevator right up to the condo to grab your bathing suit before heading to the pool and hot tubs. 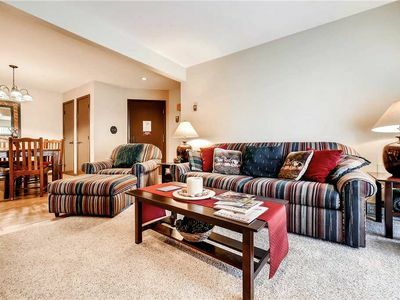 Large living area, and plenty of rooms for family or guests, this condo in Torian Plum Creekside has three bedrooms (all en-suite masters) with three full baths. 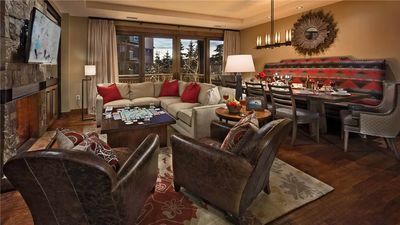 The large master bedroom includes a jetted tub, large king bed, and incredible views of the ski hill. 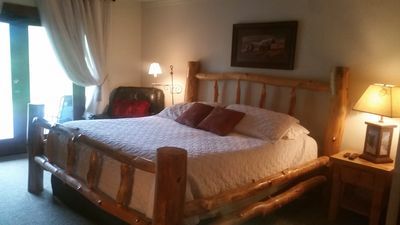 The second bedroom has a queen bed with a private bathroom and walk-in shower. 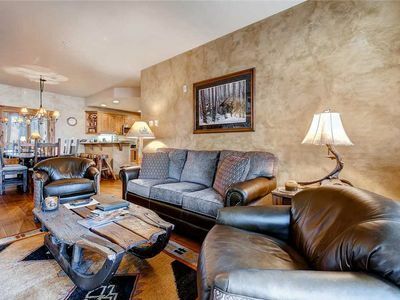 The bunk room is large enough to give some room to play, with *two* sets of twin-over-double futon bunk beds. 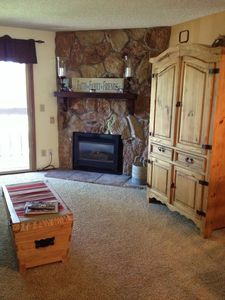 The kitchen is newly updated and large enough to spread out and cook, with newer appliances and plenty of amenities. 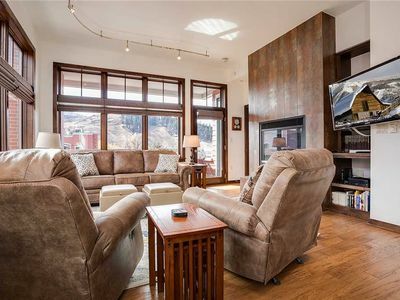 The large living room and full dining area face the ski hill, so you can watch the skiers and the alpenglow of sunset (or head out for a few runs of night skiing!) 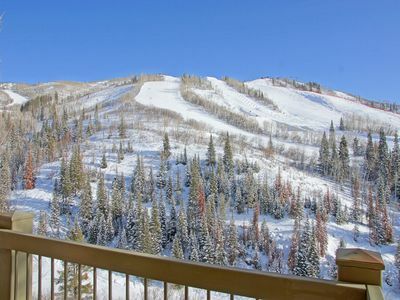 Don't feel like skiing today? No problem, the Torian Plaza shops are just an elevator ride away. 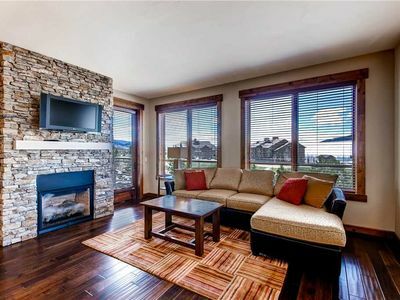 You are also just a few steps from the base area shops and dining, or grab the shuttle to downtown Steamboat. And it's also the perfect spot for summer fun -- grab a mountain bike pass to take the gondola up and ride down. 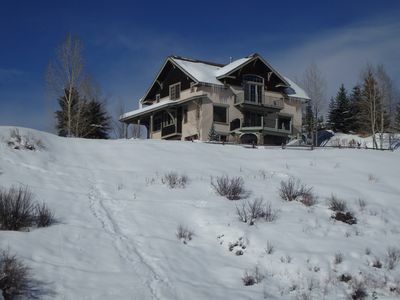 Or take one of the most beautiful hikes up Steamboat mountain by walking out the front door. 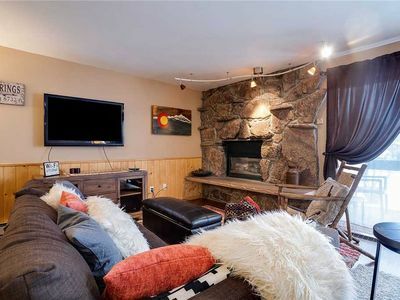 Feel like staying in? 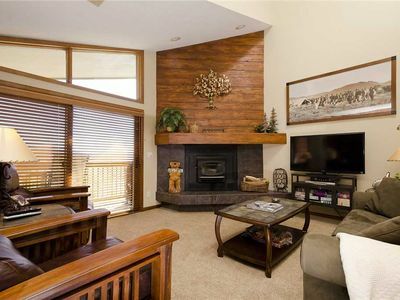 Enjoy the fireplace, comfortable seating, and take in the view. 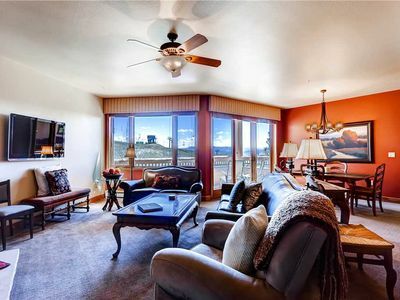 Condo also includes a washer/dryer (in the unit), as well as ski storage, workout gym facilities, pool, and hot tubs. 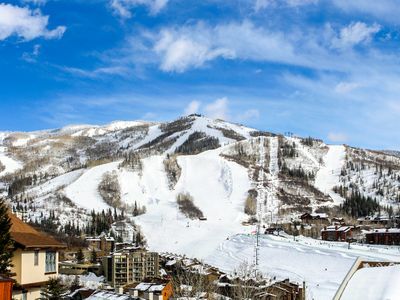 You cannot beat this place for a true Steamboat vacation! 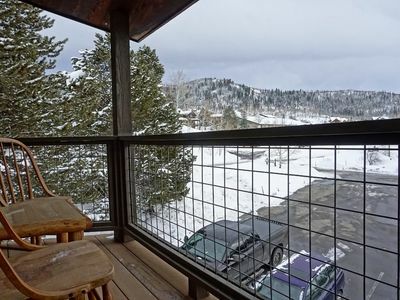 Great Slope Side Condo w/Amazing Views and Onsite Pool & Hot Tub! 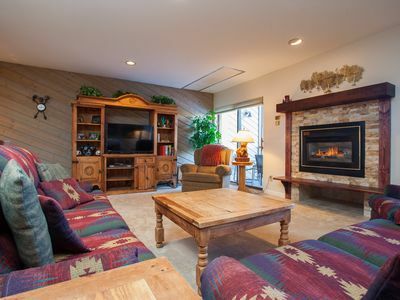 Mountain Condo w/Onsite Pool & Hot Tubs, Fitness Center & Winter Shuttles! 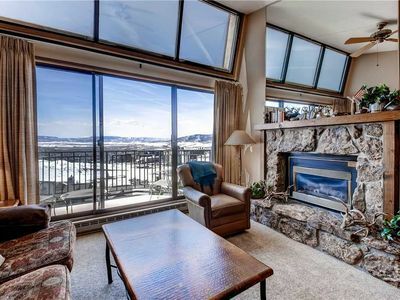 Amazing Mountain Condo! Tennis Court, Grills & Pool! 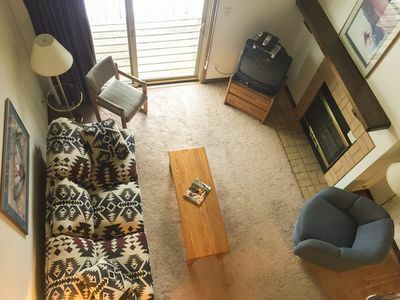 Mountain Condo w/Fully Equipped Kitchen, Private Balcony & Amenities! 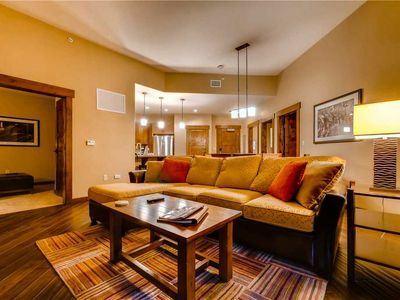 Luxury Mountain Condo Loaded With Resort Style Amenities!